Often people find words like cryptocurrency and bitcoin fancy and want them. well let's assume they brought them as well, now what? Do they know what to do with it? What do they do? Whom would they seek help from? No one?? so they are left alone. Now Let's look at the benefits one can get with Realpoints. Realpoints has a systematic process. 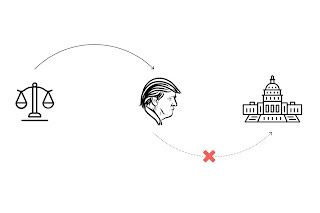 From the very first day, Realpoints have always focused on explaining how the process works. They also provide you with Academics which means even if a person does not know anything about cryptocurrency can become a master player. They teach you about Finance, Trade, Cryptocurrency and mining. It is very very essential to know how mining is done and this you can learn from Realpoints. 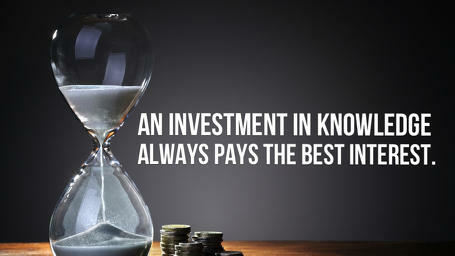 Knowledge is a powerful tool and knowledge can never go in vain. Realpoints believes in building Future Leaders, it believes that not only should the value of cryptocoin grow,but also the people in knowledge. Apart from this, any questions or any other issue occurred is directly taken care by the company. One can freely address their issues to the company. They have their daily blogs which updates everything about the company. The company cares for it's members and answers all of their questions. Not only so, the company frequently has a lot of seminars and webinars teaching people about trading and cryptocurrency. So if you are still thinking, then stop and start working with Realpoiints - The Best Of Its Kind. The best one is Realpoints gives you a chance to cover up your investment and earn profit that you can never imagine with it's MLM Plan. To all the governments out there: Accept Cryptocurrencies and trade with us! One question people keep asking me all the time when they firstly get introduced into crpytocurrencies is “Why the governments are not accepting Cryptocurrencies as legal money?” and “Why some countries are even trying to BAN cryptocurrencies?”. This is the same question as if I ask you why 7000 children die every day in Africa because of lack of water and food? When the money needed to save them can be gained from the money that banks spend every year on useless transaction fees. ‘’ Overall, America's banks took in an estimated $32.5 billion in overdraft fees for a period of 12-months’’. Yes you read it correctly, $32,5 billion only from America’s banks, imagine putting all the banks of the World together…Is your imagination that big?! So lets get back to our topic. 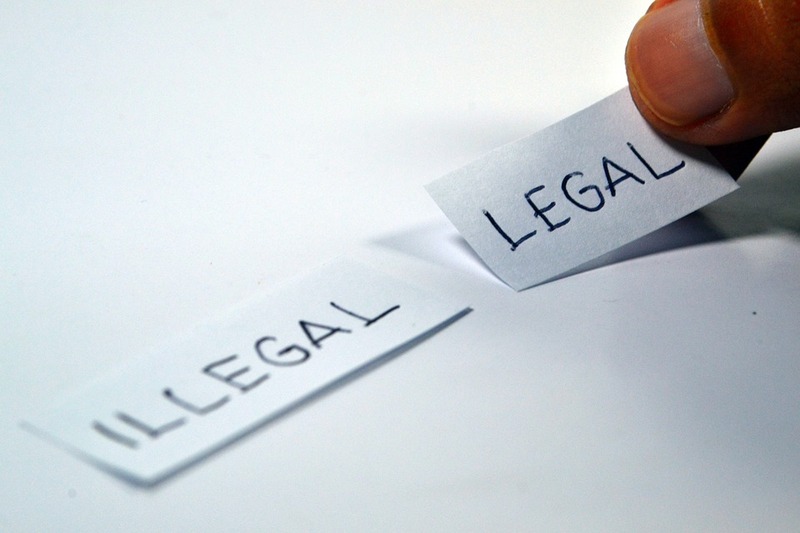 Why not accept cryptocurrencies as legal money? I mean, the transaction fees, the taxes and other service fees that people would save and not pay from their pockets is not enough? Well obviously for the governments not! I mean how would the governments earn the money they earn today on our backs if all this happens? I am not saying remove the taxes, remove the banks or whatever else! If we don’t pay taxes then how will the governments fix our roads? How they will build our schools? How they will feed the poor’s..Oh I forgot, that thing they are not doing it even now.. Governments don’t like things that they cannot control and one of those is Cryptocurrencies. Totally decentralized not owned or controlled by any authority in the world. Well is this a good thing? Even me, a big fan of Cryptocurrencies can’t say that, I mean from one side it’s good because nobody has the authority over your digital wallet and your transactions but from the other people used Bitcoins to buy drugs, guns and prostitution few years back.. So what you need to do is to put all the pros and cons of Cryptocurrencies in front of you and then decide, but remember choose wisely. Because if you choose us (cryptocurrencies) then you are joining a whole new world. World of opportunities and challenges! IF not then you will stay another one person on earth owned completely by its government without the freedom of speech which they are promoting so much! There is so many things to write will I not write you everything today you are still not ready for it. So before few days I wrote you about some facts on the question “why governments try to ban cryptocurrencies” today I will write you what happens when some countries consider accepting them. 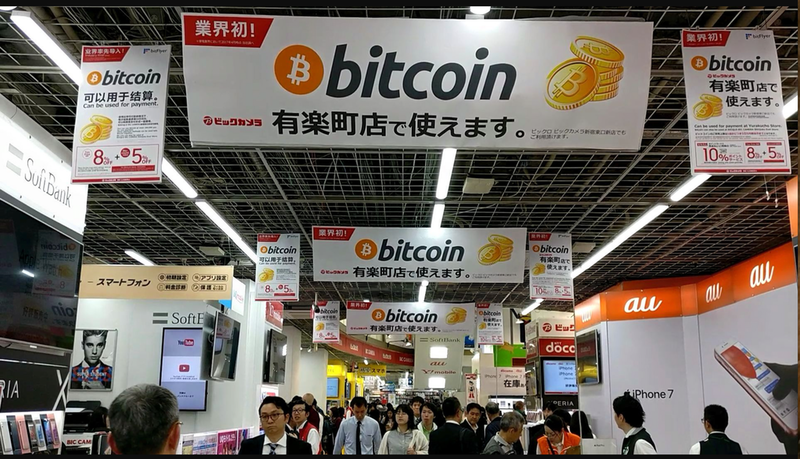 Before few weeks Japan & Russia announced that they move to legitimize Cryptocurrencies. As soon as this happened people from both countries started buying Bitcoin and other Alt coins like crazy. This helped the cryptocurrencies to raise their prices as much as double. For example Bitcoin price went from 1,300$ to 2,500$ in a matter of few weeks time. Imagine what would happen if all the other countries would do the same. Imagine the value of the cryptocurrencies. You cannot imagine it believe me. My opinion is that with the raise of Cryptocurrencies many world problems can be solved, you know I kindly think that people in Africa can get clean water, food etc. Same goes for people in Syria, Gaza or anywhere else. Because donations and all other pays made for those people can be made more easily without interruption of governments or banks but for them this is not acceptable since they will not be taking their share from it. Funny, stupid call it however you want but that’s the truth my friends. All in all I really hope that we the people behind cryptocurrencies we will find a way to surpass all the governments and banks if they don’t want to join us and we will succeed all the above mentioned. The company I am located currently “RealPoints Academy” which is working in the industry of cryptocurrencies is making plans to start foundation to help all this people in need but we will need the help of all the people just like all the other companies and cryptocurrencies are doing it already. It’s been a roller coaster ride for all bitcoin users in the past two weeks. Well, if you read my blog properly it was clearly mentioned about bitcoin bubble. Let us address to the fact that the way the price went up, it was bound to come down. No doubt there were trades which took place at that rate but the volume was low. 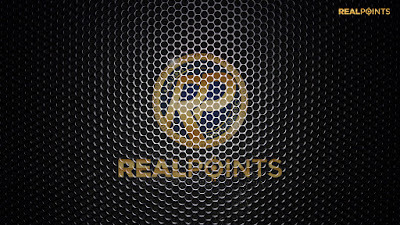 Talking about realpoints facts, the company feels proud to announce its existence in more than 150+ countries with 10000+ members in just 5 months. With its unique plans and benefits the company officially launched on 1st January 2017.
to my surprise the company stared giving cryptocurrency from the very first month to its members. Paving its way in up’s and downs of the market price, now we see a steady growth in the price.What really should matter is how is the price of the company growing, is it slow but steady growth or is it rapid and risky growth? The company has many testimonials to present about how people are earning and are happy with the company. Recently the company collaborated with coinxpro an exchange site and listed its existance in the crypto exchange world. Daily people trade on it. Factually it is doing better than what bitcoin did in its early days, but people’s mentality is different and they want everything quickly. Let me remind you a tree takes time to grow but once grown bears good fruit. It is a good chance to earn good money, want to know how? Ask us via skype, email. We are here for you. Follow our blogs to get more info and stay updated with company news. I have two examples to explain why choose realpoints now. 1. 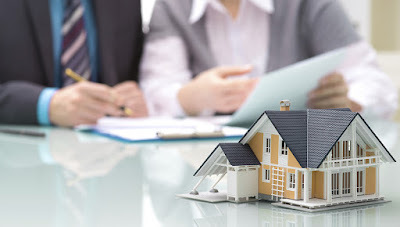 Real Estate: Ever imagined that the price of real estate would blow up so quickly? Looking at the price rise in this industry one would hardly imagine of investing in Real Estate. I would not deny that there are people investing in real estate and they are the ones who own other assets as well, such as cryptocurrency. But for common people, investing thousands of dollars is not really affordable. Let me tell you one more thing, it is foolishness to take loans from banks just for investment. 2. Bitcoin: Well if you would invest in 2010 around $100 in bitcoins, now it would be worth $35 million. Yes, and this isn’t a joke. I wish I had invested then and after reading this I believe even you would feel the same. But looking at the current price of bitcoin many are wondering as to what is going on, how is the price shooting up so quickly? well in my point of view it is a bubble. The price has been inflated because if you check the transaction it has very low volume. which means the price will drop down soon. so, all planning to invest in bitcoin now, think again. As you read in the second example what opportunity you missed then, do you want to miss such opportunity even now? I believe that is definitely a big NO. 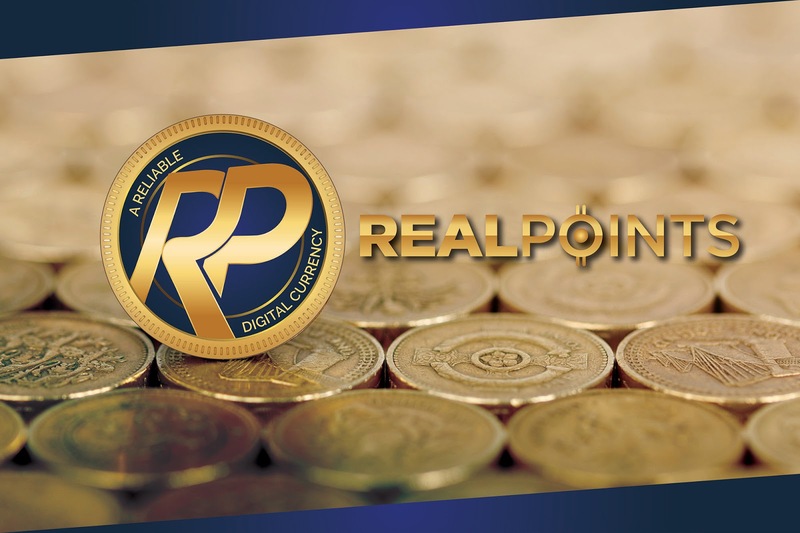 REALPOINTCOIN is a future rich crypto currency. 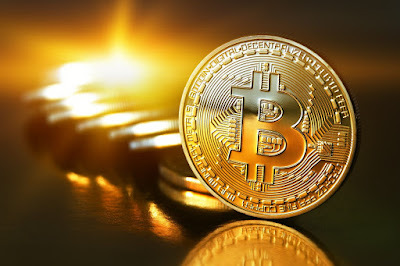 So ideally investing now in crypto currency is the best option available. It is an opportunity that one should not miss. Invest now and smile or miss it now and ignore later. As it is always said, it is never too late to start something new, when life gives you opportunity- don’t miss it.Invite people to join realpoints and earn your Dream Money. Say Yes to Realpoints – The Future Rich Cryptocurrerncy. They always say, ‘self-motivation is the best motivation.’ I agree to this but often we come across situations where we look for opportunities to motivates us in life. Most of the times we have them in front of us but we don’t realise it. Never the less if you are reading this means you are lucky enough to know that you to have a wonderful opportunity for you. But the question is, have you realized it? Have you made the most of the opportunities presented to you? If no, don’t worry it’s never too late to start something new, something exciting, something valuable. I have examples of people with us who said yes to this opportunity and made the most of his and we as company are very glad to work with people such as Dharmendar (Chimpu). So now the question is, what are the opportunities which Realpoints are offering? It does not matter if you are a student, a house wife or some working personnel, if you are looking out for opportunities Realpoints is the answer. 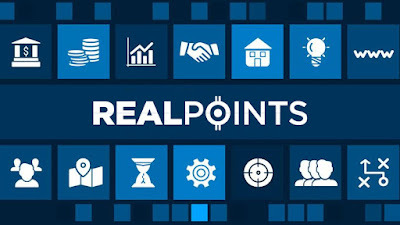 Invite your Friends to Join Realpoints and be a part of the Realpoints opportunities. 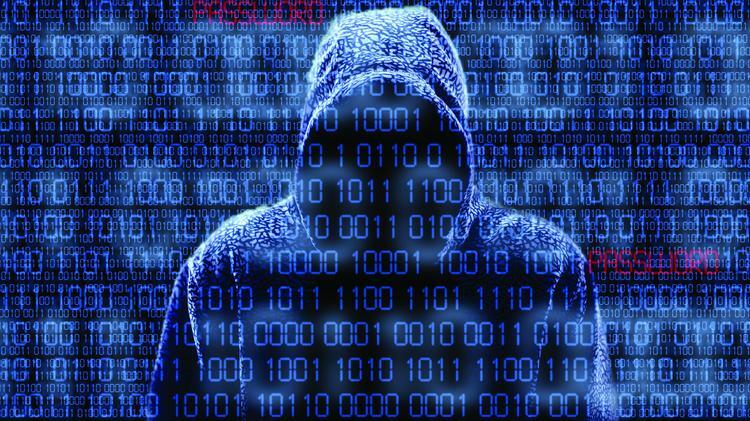 We see a lot of exchange sites, especially crypto exchange sites, but at times it gets difficult to understand them. We surf the internet yet are not satisfied by the answers. We do our own research and only at times it helps. 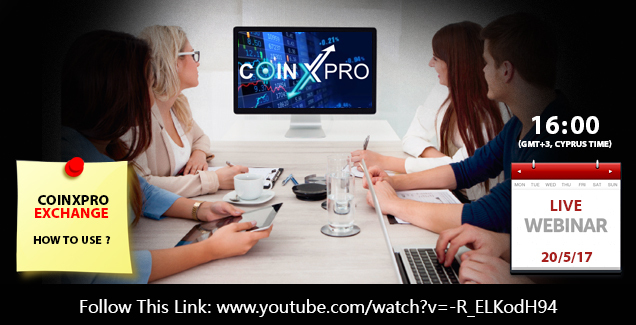 But for all those who are new traders or others who don’t really understand what and how it works, here is a webinar on coinxpro for you. Our very own expert Drazen Perendic will teach you all the basics and will clear out all your doubts. It is really a rare case where we find someone coming forward and explaining it to people. And we do so is because we care for our people, we want our people to grow and we want to tell them we are there for them. Coinxpro is a unique Crypto exchange site. So, do not miss the change to understand and ask your questions. Few hours left, we are Ready, Are you? On my official trip to India where I had to give presentations to people about crypto currency and RealPoints company, I often came across some question from almost all Indians out there about what answer to give the government for the returns from Crypto currency. I had answered the same thing what we see in The Times of India newspaper. You fill the pockets of the government by paying taxes and you won’t have problems. It is a simple calculation. But, what is important is that government is recognising it as an income. Sooner or later as we have many traders trading in crypto currency and the government is receiving its taxes, we shall have a sense of relief. So just relax and believe in the power of crypto currency. 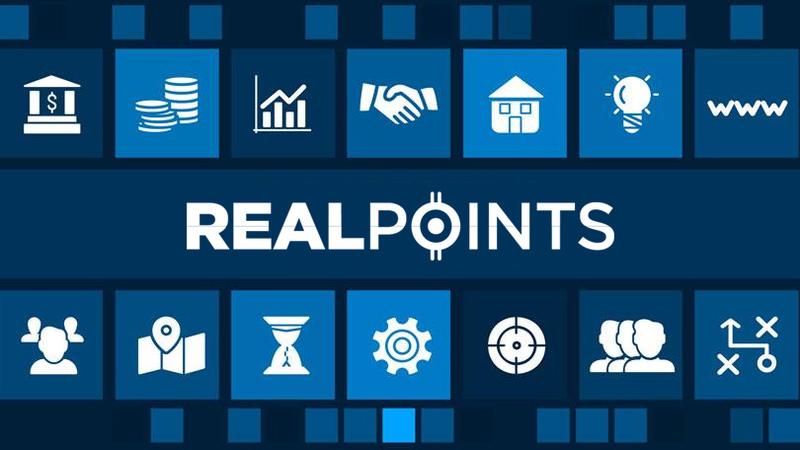 Realpoints – The Best of Its Kind. Now here’s something I often find people worried about. They see the price of bitcoin going up and they get worried of their asset (crypto coin) value. Here’s what you need to see. The value of any cryptocurrency takes time to grow. As seen in the above image the value of bitcoin was almost nothing for more than a year and a half. So what now, should we give up? Obviously, NO. 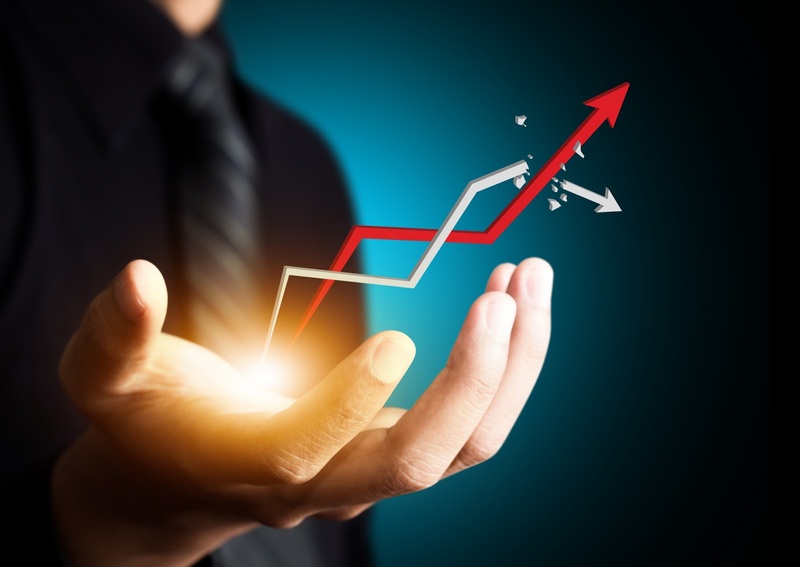 Every crypto currency takes time to grow and increase its value. Till then what do we do? Own the coins when it is at a lower price, and you can sell them at higher price later. It is foolishness to give away and I say so because we have an example in the past of a person giving away 10,000 bitcoins to a pizza delivery guy because he did not believe in it. Now imagine the value of these bitcoins that this pizza delivery guy holds. DO you want to be the person who lost such huge profit or be the one who own it? The decision is up to you. This thing with RPT coin is that it is a new cryptocurrency with a lot of potential in it. So, buy, trade, grow and be happy with a lot of wealth. Yes, you can do it. Believe in yourself. Invite people and encourage them to purchase more crypto currency. Just as you believe in getting rich one day so do they, show them the way and let’s grow the power of cryptocurrency. Today’s day starts with a great breaking news about bitcoin reaching a whopping $1900. And what we are looking is another growth of $100 for it to double its price in 2017. Talking about the revolutionary bitcoin reminds me of an evolutionary coin – RealPointCoin (RPT coin) a unique ALT coin with its features and benefits similar to bitcoin. The price then and now. That is Exactly the story of RPT coin, the price will slowly and gradually increase. Not forgetting the life span of Tortoise. 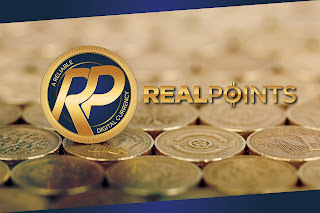 Realpoints in my point of view will have a good future, just like other alt coins the price will substantially increase. 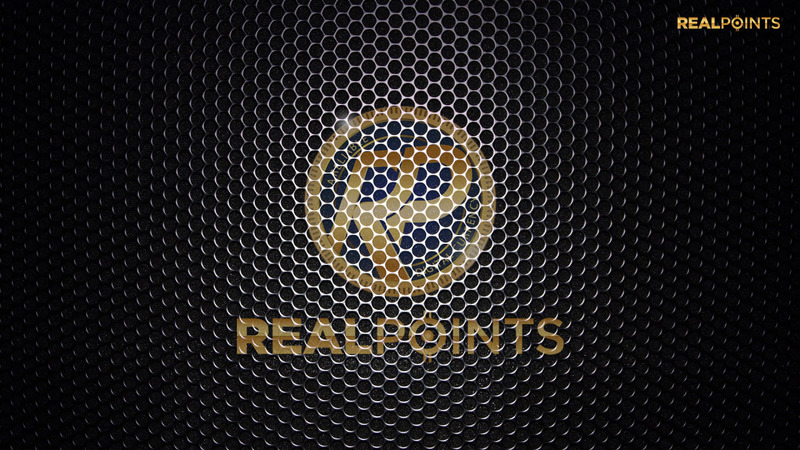 Realpoints on the other hand has various plans to develop and grow RPT. In other words, bring value to the coins. Value will Create Demand and demand will increase Price. So, Trade with RPT coin – A future Rich Cryptocurrency. There is so many things to write but I will not write you everything today you are still not ready for it.